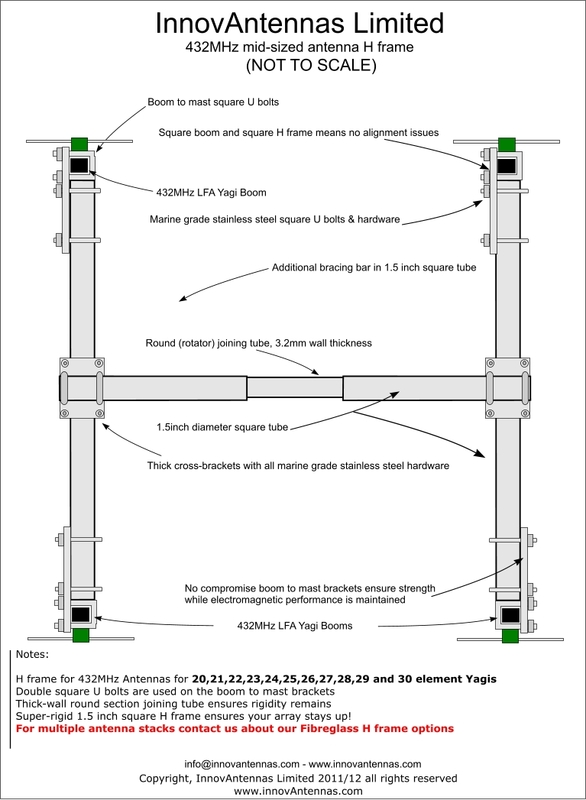 Special consideration has been made with our 70cms LFA Yagis and associated H frames. The mechanical structure of any part of the antenna (or supporting mast) is significant (in respect of frequency) on this band so where possible, avoidance of metallic objects crossing the elements is an important consideration, especially within short antennas. Unlike other companies we have paid a great deal of attention to the design of our UHF products and this will be reflected in the superior performance our customers will see.